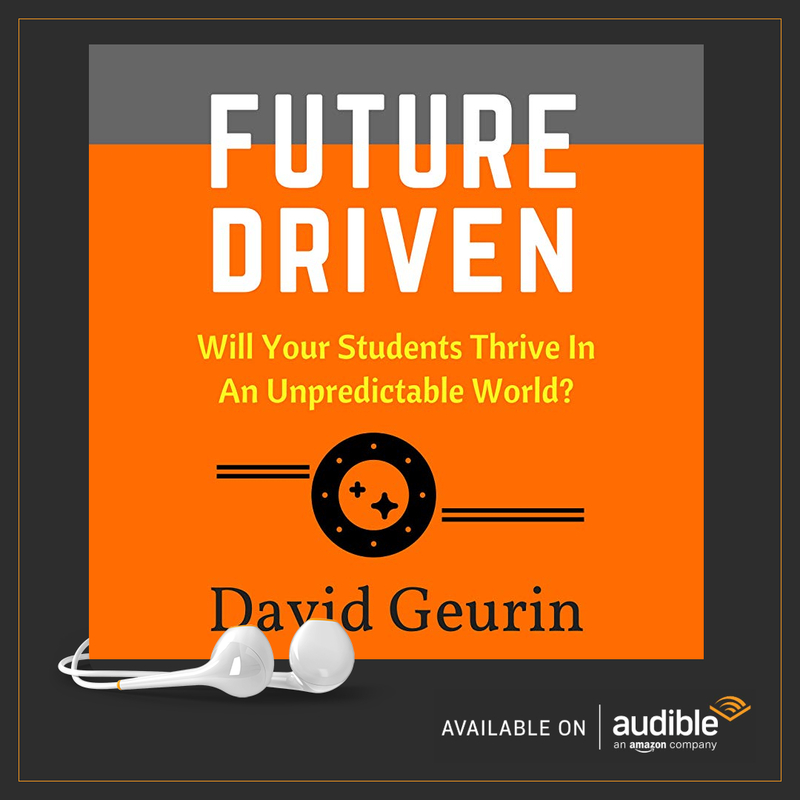 In Future Driven, I wrote about the importance of rekindling passion in an accountability era where proficiency has been prioritized to the detriment of everything else. "More than proficiency, we need passion. We need people who are passionate about life, solving problems, helping others, and doing amazing work. Passionate people aren't just concerned what's in it for them. They don't want someone to take care of them, to create a job for them, or make it easy for them. They want to make a difference in the world. They want their life to count. Proficiency is about cheap labor, following the rules, being an interchangeable part. It's following the map, taking orders, playing it safe. In school, it's being ready for the next grade level or for college. These aren't bad things. But it's not what allows us to use all of our gifts." If we are going to crush apathy in our schools and create learning that's irresistible, it won't happen by doubling down our efforts to reach proficiency. We have to start by developing environments where students can rekindle what it means to be a passionate learner. After all, they came to us this way, right? When kids entered school for the first time, they were filled with curiosity, creativity, and hope. They came to us with these qualities so shouldn't they leave us with them also? So what can you do to create that passionate learning culture in your classroom? 1. Model passionate learning yourself. Be curious yourself. Learn rights alongside your students. Your energy, enthusiasm, and excitement towards learning will make a huge difference for your students. 2. Focus more on developing interesting questions, engaging in deeper and better thinking, and making meaning with your students. Some things are more valuable than getting right answers. Intellectual curiosity is exciting if it isn't crushed by fear of getting the wrong answer. Let's start with questions. 3. Connect learning to making a difference. Give students ways to learn that will impact their family, their community, a global society. Help students make a difference now. We aren't just preparing leaders for the future. Kids need opportunities to lead and make a difference now. 4. Connect learning to creativity. Passionate learning involves creating something new, not just regurgitating established information. Creativity allow us to connect who we are to what we are learning. We are creative beings. We need opportunities to create. 5. Connect learning to emotion. Developing our cognitive abilities needs to go hand in hand with developing our emotional abilities. Let's work on developing conditions where learning connects to the heart and not just to the mind. I'm not sure where it originated but I love this quote, "Information without emotion is rarely retained." Hugh Macleod (@hughcards) shared this bit on his Twitter feed. It captures so much truth in such a simple visual. The world is rapidly changing. 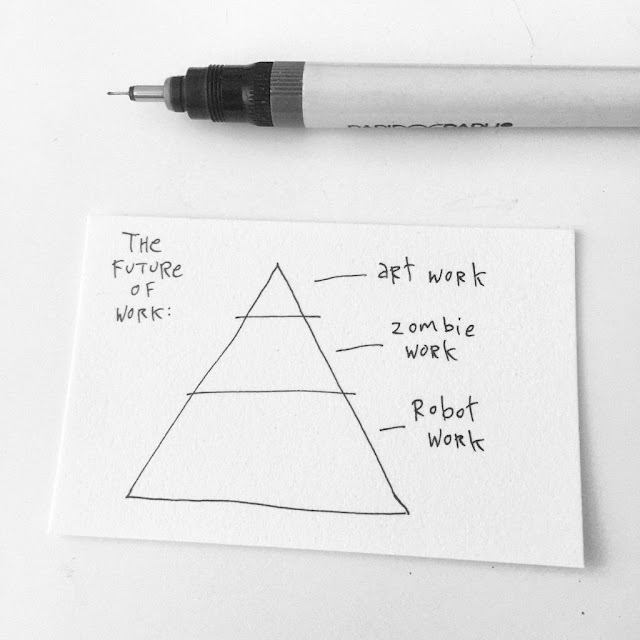 The type of work and the value of different kinds of work is also rapidly changing. Proficiency won't help you compete with robots or zombies. They know their stuff. They have the market cornered on proficiency. But they can't go deeper. They're soulless. If you want to be great, you have to be an artist. Not necessarily an artist who paints, or sculpts, or writes poetry. But you have to offer more from your humanity than a zombie is willing to give or a robot is able to give. So here's the challenge. If your students are mostly doing robot work or zombie work in school, how are they going to be ready to do art work in a world that demands it? 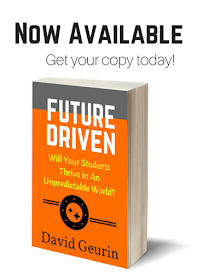 As our world becomes increasingly automated and technological, our students are going to gain the greatest advantage not just by their proficiency, but by their ability to leverage emotional labor to produce great work. Need more evidence this is true? Google found that technological know-how ranked last in the list of qualities of employees that were most valuable to their company. Proficiency came in dead last. 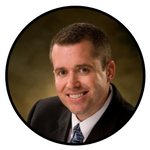 Is proficiency still important? Absolutely. But if we keep pursuing proficiency to the exclusion of what's most important, we are doing our children a terrible disservice. 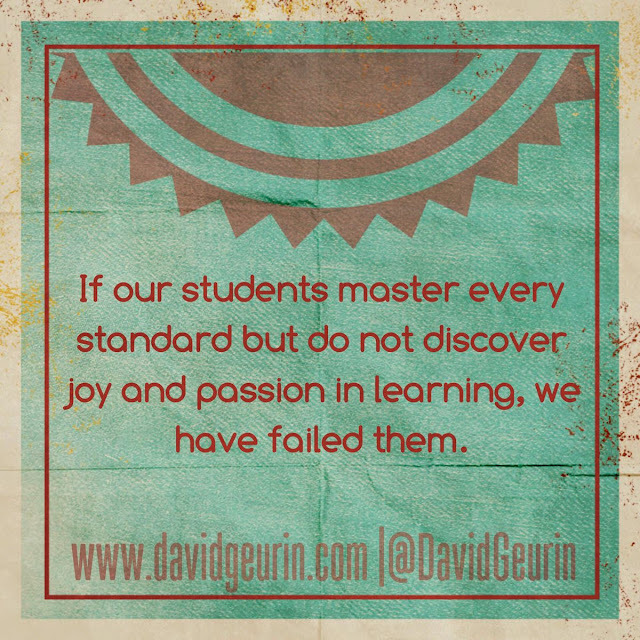 What are your thoughts on passion vs. proficiency? If we generated more passionate learning, would proficiency take care of itself? I want to hear from you. Leave a comment below or respond on Facebook or Twitter.